Make the right impression with an attractive jobs board and slick application process. Create an engaging, social and transparent approach to learning for life-long development. A fully integrated, streamlined mobile experience to manage and record working time. Check-ins, goals and flow and more to motivate and retain talent! A 24/7 Digital Assistant to answer employee questions. 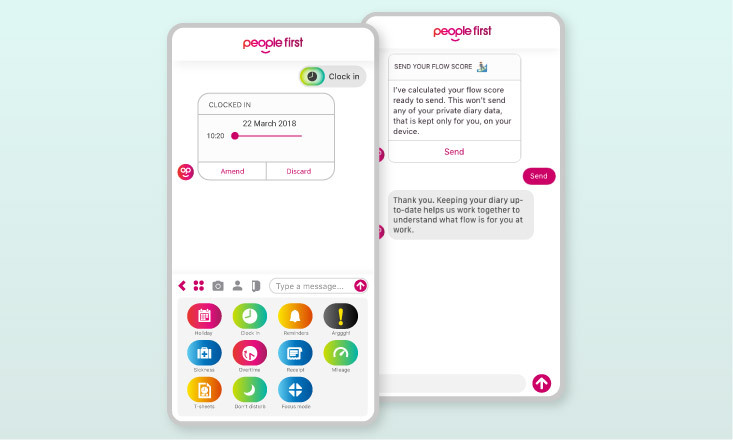 People First helps you put employee engagement and wellbeing at the heart of business processes. The result? A happier, healthier, more productive workplace.